Jimin is no stranger to cameras, having posed for pictures all around the world and made international headlines, but when he goes solo on a magazine cover it’s a whole other story. The BTS heartthrob recently landed his first cover for Top Class, an interview-based Korean magazine that covers success stories of leaders in various fields. Preordered copies had already sold out by Thursday, according to local media reports. 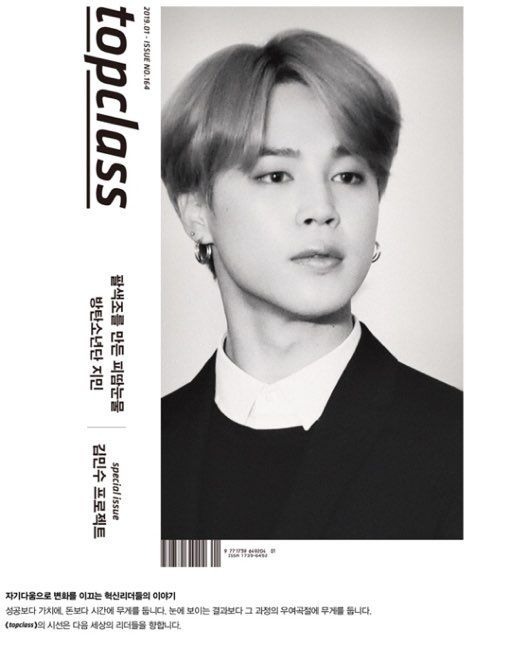 The black-and-white cover photo released by the magazine showed Jimin wearing a collared sweater and hoop earrings. 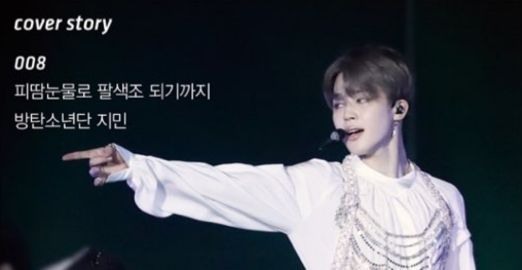 Jimin, one of the most tweeted about K-pop acts of the era, recently landed on the list of the 30 best boy band members chosen by the British daily newspaper The Guardian. Early this week the BTS vocalist and main dancer also topped Gallup Korea’s poll as the most preferred idol of 2018, rising six notches from last year’s seventh place.